Tobacco use is an extremely harmful habit that can lead to teeth yellowing, a surge in the accumulation of plaque and tartar on your teeth, and can raise your risk of mouth cancer. Here at Jeffery R. Van Treese, DDS, our team are dedicated to the improvement of the total health for everyone in the Sidney area! We wish to make the effort to provide a couple of useful suggestions for all of you that are trying to quit smoking. One of the principal reasons people smoke is in order to relieve stress. Handling your levels of stress may be among the most effective tools in your fight to stop smoking. Instead of lighting up, try getting a calming massage, enjoying calming music or do yoga. Should drinking alcohol makes you yearn for a cigarette, attempt to abstain from alcoholic drinks. If you enjoy having a smoke following a meal, attempt to replace this with chewing gum or perhaps a healthy snack. 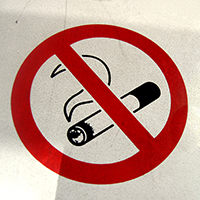 Recognizing smoking triggers may furthermore serve to help you cut back much more effortlessly. For more information concerning why you should quit smoking, visit Smokefree.gov. Are your teeth discolored because of tobacco use? We can help, learn more pertaining to our whitening services by speaking to us today. To get additional dental & complete health ideas like this and a lot more, please like us on Facebook and follow us on Google+ and Twitter.